This game is time consuming to set up, but it is always a huge hit with the kids. It also keeps them busy for awhile, which is of course, a big hit with the parents. But don’t stray too far away while they’re having their fun. Watching this game go from serious to silly is super funny! You are going to create an indoor spider web that fills an entire room. Decide which room you are going to use so that you can estimate how much yarn to buy. This will not be a perfect science. Purchase a package of yarn for each participant. Select a different color for each child and opt for colors appropriate to the holiday. Begin building the web at any random point in the room. You are going to create a pattern for each child by stringing one color of yarn back and forth across the room. 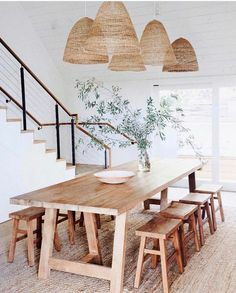 Move up and down in a zigzag pattern around the room. At each touch point, lightly wrap the string to change direction. When all of the colors have been strung, you should now be seeing a massive spider web. Show each child the end of his or her part of the web. Instruct the child on how to find the other end of their yarn by navigating the entire web. Emphasize that they can’t just pull hard on the yarn or they’ll pull the whole web down. They have to go to each touch point and unwrap the string and then proceed. Whoever finds the end of their yarn first wins a prize. Or, you can have first, second and third place prizes if it’s a large group. Enjoy watching the shenanigans unfold. Watching the children try to untangle the yarn while running into each other is priceless! How Do I Get Hot Chocolate Out of My Carpet? Hot chocolate is a staple on cold winter nights and holiday parties. Unfortunately, this dark liquid can stain your carpet quickly in the event of a spill. While it looks like it’ll be there forever, chocolate can be removed from carpeting. Just be sure to clean up the spill as soon as you see it to keep it from setting. Begin by blotting up as much of the spill as you can with an absorbent cloth. Don’t rub the stain; you don’t want to work it further into the carpet, just absorb some of the liquid to help lighten the spill. Keep blotting until the cloth comes away dry. After blotting the liquid from the spill, use one of the following mixtures. As a note, pretest any solution used on an inconspicuous location first. If a small amount of solution results in color transferring to a white cloth, use a different spot solution. • A non-flammable spot removal solution, such as a dry-cleaning type solvent. • A mixture of 1 part vinegar to 2 parts warm water. Dip a soft cloth into one of the above solutions. Use this to carefully blot the area of the spill. Begin on the outer edges of the spill and work towards the center. This will keep it from spreading. Keep blotting the stain until you get the majority of it up. Rinse the cloth with water and pat the area again to help get any remaining soap out of the fibers. If none of these solutions work, remember that professional cleaners are a great way to attack stains. Professionals have the equipment and skills to attack spots more aggressively. Spills happen, particularly during parties. If you happen to notice some hot chocolate on your carpet, don’t panic. Take steps to clean it up as quickly as you can, and you shouldn’t notice any lingering stains to remind you of what once was spilled there. Learn more on removing chocolate stains here! A Day With Florida Tile! 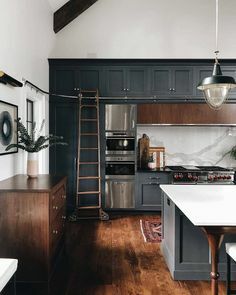 What Type of Flooring Should I Use in a Modern Kitchen? 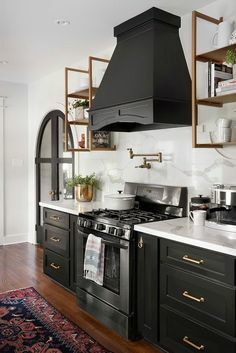 Modern kitchens are some of the most unique looking places around. Homeowners creating a modern kitchen often choose extremely avant garde materials to create some of the most interesting styles available. This use of innovative materials extends right to the flooring, which must match the rest of the style of the kitchen to help complete the design. Tile is one of the best materials for use in a kitchen simply because it’s so durable and easy to care for. You can drop a jar of spaghetti sauce on it and it’s unlikely to get hurt. That said, not every type of tile is going to be right for a modern kitchen. In fact most types of tile would look completely out of place, so what to use instead? Here are a couple different tiles to consider in order to complement your space. Porcelain tile is made of compressed clay dust that has been fired to extremely high temperatures making it extremely durable. It is highly resistant to stains, scratches and chips. It also comes in a wide range of styles, many of which are perfect for modern kitchens. Look for large format porcelain tile of at least 18-inches in size to make the most of the space with relatively few grout lines. Porcelain that is designed to look like metal, concrete and glass are all great choices for the modern kitchen because their clean lines and unique surface textures complement the space around them. Modern kitchens demand floors that can keep up with their low-maintenance, high-style needs. Consider these options for your modern kitchen to bring out the best in the space. Jack and Jill bathrooms sit between two bedrooms and are meant to be shared by two occupants. This means that these shared bathrooms often have more design considerations than other spaces. They need to reflect the style of the two bedrooms on either side, and they need to be functional enough for two users. When designing the space, keep those points in mind to ensure a blended, usable space. Whenever possible in a Jack and Jill bathroom, it helps to ensure that both users have their own space. This helps cut down on clutter as well as arguments, and helps speed up time spent in the bathroom in the mornings. To that end, fitting in two sinks whenever possible is a good idea. When laying out the bathroom, consider doing away with swinging doors and install pocket doors instead. The pocket doors will free up valuable floor space so you can fit in an extra sink or longer vanity cabinet. If you have the room, you may also want to consider moving the toilet into a separate closet or room of its own to help facilitate use of the space. Jack and Jill bathrooms are primarily used by kids, so make sure that the materials you use are easily cleaned and cared for. Look for porcelain, ceramic, and glass floor and wall tiles that resist staining. Mosaics make a nice floor choice because the grout lines help the floors remain slip free, while the many patterns and colors available can help make the bathroom more fun for the kids. Whenever possible try to pick up colors from both bedrooms and tie them to the bathroom. If the colors work well together, use them both as accents by running a strip of color around the whole room at wainscot height. If they don’t work well together, try to find a third, coordinating color and make it the main color of the bathroom. The ultimate goal for a Jack and Jill bathroom is to blend the two styles and personalities of the users into one functional space. Take the time to consider the users in every decision to ensure a workable bathroom for all.